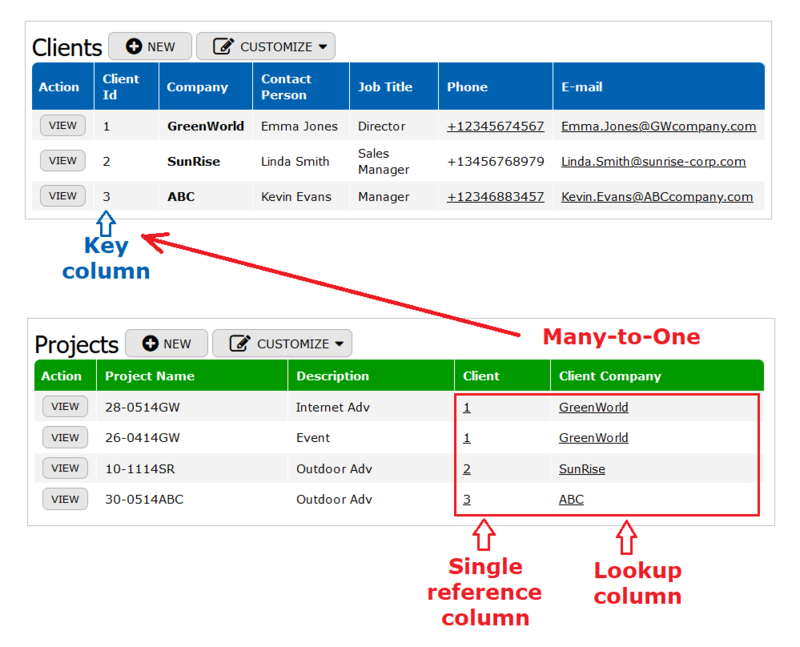 Lookup columns are reference columns in a table to represent a specific data from a related table (for example, the Projects table may need to contain the Client Company from the Clients table). When a reference column of Many-To-One cardinality is created, a lookup column is added to a table automatically. From the setup menu select Column > Create a new lookup column. Fill in the displayed form to create a Lookup column.